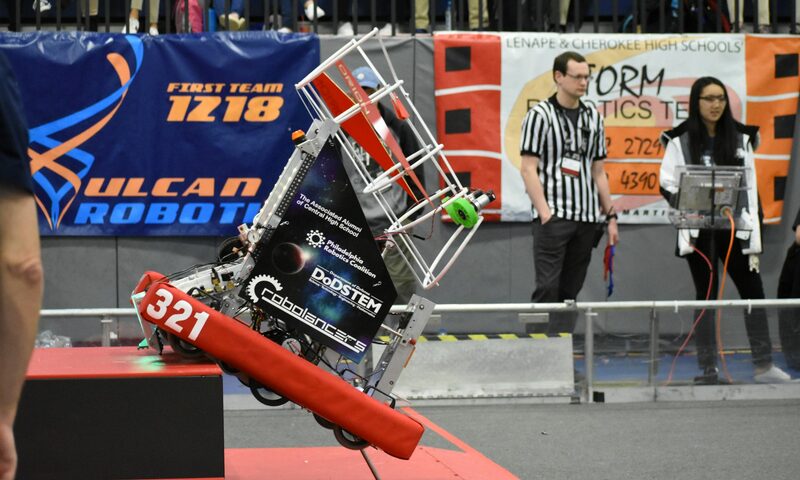 On March 14th and 15th the RoboLancers attended the FRC Chestnut Hill District Competition. In the previous year I was able to attend this competition, however, this year was my first time as a member of the pit crew. I had the opportunity to work on the mechanical aspects of the robot, repair various complications that had occurred with the robot, and prepared the robot to compete in the field. Last year I was able to see the competition from a different perspective. I witnessed the different teams and robots compete out on the field and the illuminating spirt that was rendered through the teams. This year I was allowed to participate in the action that occurs behind the scenes. Pit crew was chaotic, everyone scampered to ready the robot for the matches. The mood was high paced and stressful. When in the pit, one is able to ultimately understand that the robot is never thoroughly complete. Although our robot did not function to its full potential. I have to admit that being a part of the pit crew was one of the most extraordinary experiences I was able to be a part of. I am optimistic about the improvements that our team has decided to make on the robot and am excited and looking forward to attending next week’s Lenape-Seneca Regional Competition.